With such an abundance of impressive wineries responsible for many Aussie renowned, award winning drops of vino - family history and true passion for creating quality wine being the heart and soul of all varieties might I add - it’s no wonder we love to brag about our very own North East Victorian Wine Region, particularly, the Rutherglen Wine Region, being so close to home and having been in the game since the mid 1800’s. 19 Cellar Doors make up this impressive Wine Region and are known collectively as The Winemakers of Rutherglen. 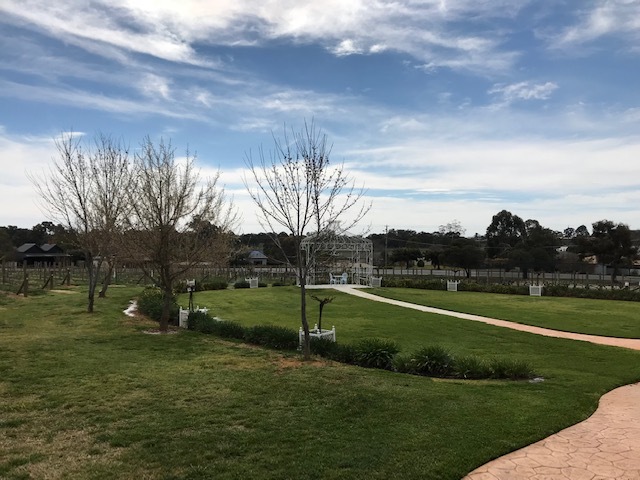 With the closest of the bunch being only about 30 minutes from home here in Yarrawonga, it’s no wonder every local wine lover considers the short trip their ideal weekend drive destination - you can’t help stopping at every Cellar Door enroute to the fav winery of the bunch. 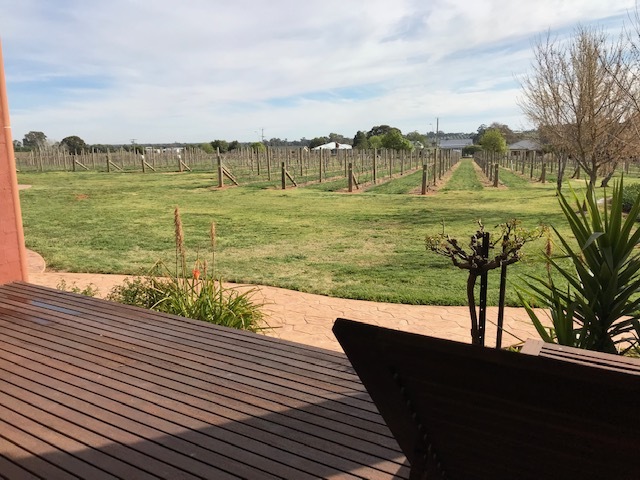 Having a notoriously long, dry Autumn season in this part of the country makes for ideal conditions for rich reds, making the full bodied reds and delicious, syrupy fortifieds the signature, award winning varietals from Rutherglen Wineries. ‘Their durifs and range of fortifieds are evidently famous on the world stage’ - Victoria’s High Country Official Website. 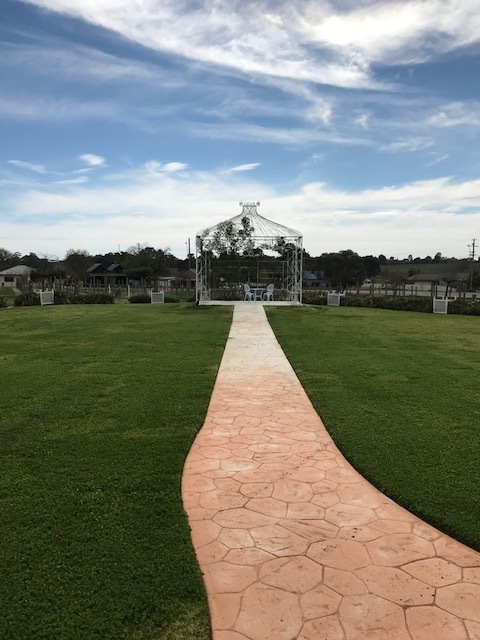 We have been making a few visits to the central township of Rutherglen of late, checking out the relatively new Cellar Door set up and Art Gallery at Rutherglen Estate Wines – one of the oldest Rutherglen Wineries and the largest vineyard development in the region, with 185 hectares of land under vine across four sights! 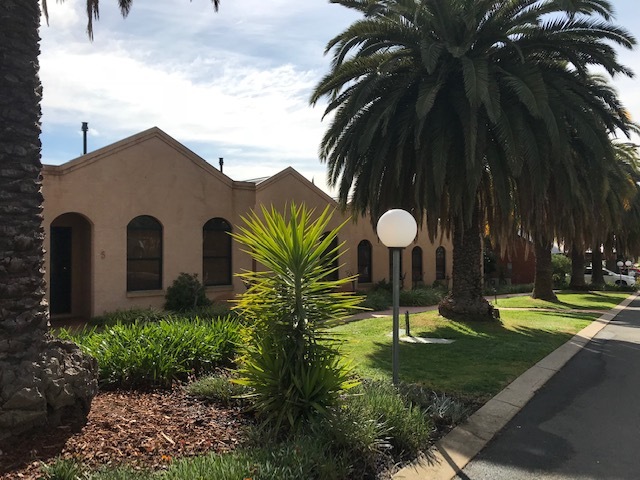 The Cellar Door building itself, in the heart of Rutherglen township holds such a deep history in the wine industry, being built originally to house Seppelts Wines Cellar back in 1886, it is synonymous with the North East Victorian wine heritage. 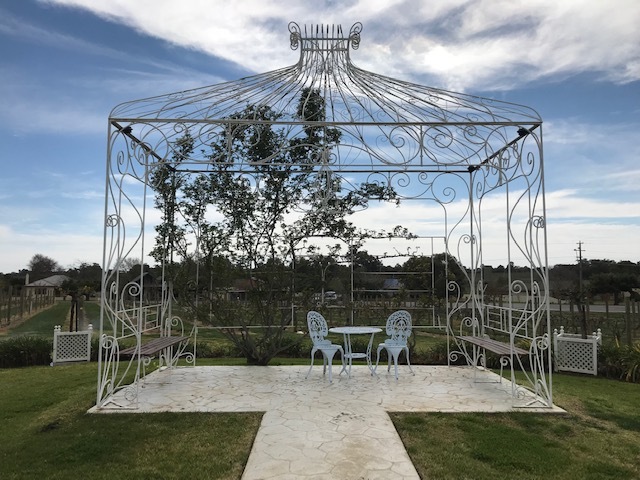 Now home to the Rutherglen Estate Cellar Door and Tuileries Restaurant and facilities, wine continues to run the buildings veins. Just recently, the Cellar door section of the R.E/Tuileries complex building has had a revamp, turning the the Cellar Door in to a joint venture with Aboriginal Art collector Hans Sip to create an Aboriginal Exhibitions Gallery. In the refurbishment, exposing all that is old, original and oh so impressive about the interior and original structure of the ceiling of the age old building was essential, as a way to give compliments to the old building as well as add such a depth and dramatic, dark but warm lighting and rustic character to the Gallery – see the exposed pillars and sleepers in the ceiling as well as the polished up concrete floor in the image below, completing the natural, slightly industrial and aged but refreshing look. What puts emphasis on what is old though, is the addition of what is new – the sleek and more modern touches of the new counter as well as modern, bright and edgy art pinned to the walls, clashing with the plain white plaster, concrete and natural dark timbers accentuates the art and embodies the room with a colour pop. What tops off this experience too is the aromas - both of the new paint, the wine soaked barrels in the centre of the room, the old timber and of course the abundance of wine varieties cracked open for tasting! I quite enjoy wandering around an art gallery, feasting my eyes on unusual, dramatic, storytelling works of art - I also love myself a glass of rich, velvety, full bodied dry red! So I needn’t explain why this Gallery and Cellar Door combo tickles my fancy. If I were to name a few of my favs, I’d list the ones sitting on the shelf in my kitchen as I’m writing this article, and that have also accompanied me on a couple of occasions where late nights in front of the computer screen were necessary! The Red label Shiraz Durif - For a nice smooth, crowd pleaser red, great for a table wine to accompany a nice steak (The red range is available in external retail stores and is also great bang for your buck!). The Tempranillo - The fruitiest of reds that I personally enjoy I’d say! But not too sweet, I love having this one as a red option in the warmer months. Sangiovese - If you’re a pizza, pasta, cheese board with ciabatta dipped in oil and dukkah type of foodie, then the Sangiovese is the perfect match! NV Classic Muscat - This. Is. Delectable! And makes for the perfect night cap for a sweet tooth - it’s super smooth and syrupy. I particularly love it poured over some frozen vanilla bean greek yoghurt! If you need some further inspo on what you might like to drink and what foods to pair it with, jump on the website and see the basic run down of the vast varietals on offer at R.E as well as suggested dishes to accompany them. Or, better yet, and an absolute must if you’ve not yet experienced it - head in to the Tuileries Wine bar and Restaurant. The menu is carefully set out to team signature wines with the meals that will best compliment them and the very attentive, well informed and passionate nature of the staff certainly carries through form the Cellar Door to the Restaurant, ensuring you make the best choices on your food and vino orders. Being quite central, positioned along the main street of Rutherglen makes Rutherglen Estates and Tuileries complex so easily accessible and convenient! And the Rutherglen township, while small and very casual and cruisy, is such a beautiful place to explore. The people are lovely, the buildings vintage and charming - it’s like taking a step back in time! You can expect to pick up a quality, country meat pie, sift through preloved books at the second hand book store, attend markets run by the locals, get yourself a hearty pub meal, a wide variety of cold beer from pubs, breweries and bars and take your pick from super casual, country pub dining or a game of pool - to more upmarket, trendy, and more ‘cityvibe’, hipster type wine bars with quality fine dining and cocktails to delve in to! One thing I find myself and many other locals from Yarrawonga/Mulwala come to ponder though is how do we go about getting over there to spend the weekend or even just a night and make the most of the iconic Wine Region without having to organise a large group to fill a bus or have someone draw the short straw by having to be the desy driver?! Who wants to miss out on tasting some of the best wine Australia has to offer? (and tasting it properly, too - no one wants to settle at a few standard ‘sips’). This is where Rutherglen Estates crawls up the ranks as a strong competitor against it’s fellow Winemakers of Rutherglen (on top of the multiple award winning wines of course!) as one of the best places to wrap up your day and crash the night, given that they have Tuileries accommodation on offer within the complex – no need to sort your lift home! Aaannd you can roll in and enjoy a fantastic, high quality restaurant meal, a few more wines or cocktails, have a great nights sleep in the 4.5 star accommodation and then roll out of bed and into the Tuileries courtyard and cafe for a hearty brekkie and barista made cuppa the next morning! This was the perfect crash pad for us to let the tummy settle enough to rise from the food coma after overindulging at the Tuileries restaurant the night prior! And it is just a short walk from the complex entrance so you don’t need to carry your wine belly from the Cellar Door or Restaurant too far - bonus! For a more casual dining option - yes, this complex literally has it all! - you can enjoy breaky and lunch in the Tuileries Cafe or Courtyard. The courtyard is such a beautiful, classic french style dining area surrounding a water fountain and upon the evenings, lit up by beautiful, glistening fairy lights. 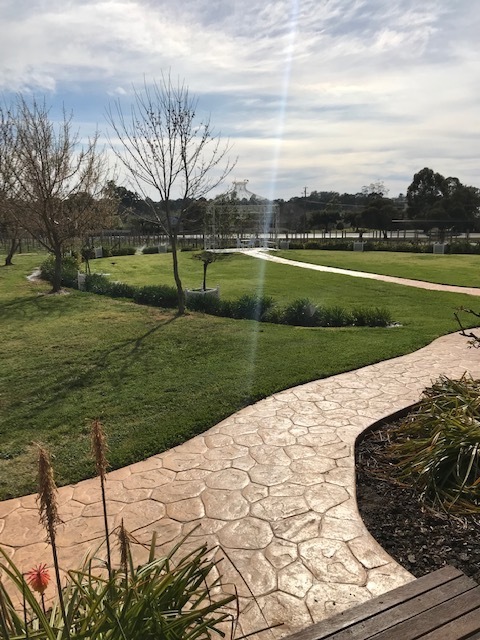 All in all, the Rutherglen Estates and Tuileries complex has plenty to offer and really is in a world of its’ own - you don’t even have to leave when staying for the weekend if you don’t want! The complex has hosted many events over the years, sleeping, feeding and boozing up the whole crew, including hosting weddings! There is even a large seminar room to utilise for a more formal do or a work related function. The Gallery and Cellar Door is definitely my fav building to be in, there are often evening events running in here too that are worth popping over for to have a geeze and tempt your tastebuds! Keep your eyes pealed on the Rutherglen Estates Website or Social handles (links below) to keep up to date with events. So when will your next trip to Rutherglen be! ?